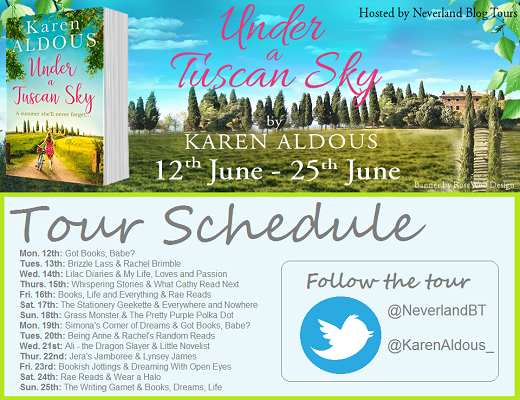 This week on ‘The Writing Life of:‘ I am thrilled to be interviewing author Karen Aldous, as part of her blog tour. 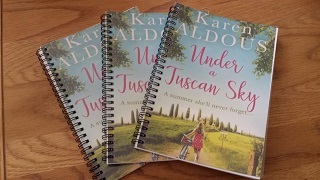 Karen will be sharing with us detail of her writing life, telling us all about her latest book ‘Under a Tuscan Sky’, which was released on 14th June 2017, and answering a few fun questions too. Always a good question, this because it forces you think back to your primal years of play and discovery. I remember playing post offices and libraries. I loved the books and the stationary. I loved using the stamps. I always had a thing for stationary, pencils, pens, typewriters, I just loved to open and sniff new exercise books, I still do. I also remember repeatedly perfecting my handwriting, writing poetry, stories and later, letters. I had penfriends dotted over the world and had a keen curiosity about people and places. I was lucky and did lots of travelling as a child and in my teenage years but those visits abroad made me hanker for, and curious to discover more. I would have loved to have lived abroad for a time and to have really immersed myself into the language and culture of other countries. So, in retrospect, the signs were there, I love to write and travel and my favourite subjects at school were English and Geography, I just didn’t dream big enough to be an author. Enid Blyton was top of my list. I read lots of hers because the children were always on fabulous adventures. One in particular I remember is The Secret of Spiggy Holes, a favourite as it was set in Cornwall, and we used to holiday in Devon and Cornwall when I was a child. That sense of freedom and adventure as a child has never left me. I also loved Enid Blyton’s series, The Naughtiest Girl, they reflected some of the rebel in me. And, Spike Milligan’s Silly Verse for Kids was brilliantly entertaining. I still tell those rhymes to my grandchildren. I was in my late teens, commuting each day to London and reading this novel I thought, I could do this. Of course I couldn’t, but it certainly ignited the fire. After that incident, I did try to write a novel. but I didn’t have a clue. This was BC (before children) and I had not long after met my husband. I suppose I didn’t feel I’d lived or had the right education. Creative writing classes weren’t an option then. You could barely find any books on writing either. However, during holidays or spare moments, I used to begin a novel or attempt short stories or articles, but time was limited. I was working, and doing a degree part time. I only seriously began following my dream whilst sitting with my mum each time she went for chemo treatment in 2011. Not only did I have a few hours to spare whilst she nodded off to sleep during that treatment, but it also hit home that it could be too late for me if I didn’t get started on fulfilling that dream. January 2012 I enrolled on the Romantic Novelists’ Association New Writer’s Scheme and in 2013, just three months after my mother died, I got the call. I just wish I had begun earlier. Once I have the map of my novel drawn out, I like to write 1500-2000 words a day for about twenty weeks. In-between, I could be making notes, organising a time-line, researching, talking or promoting on social media, organising trips, writing blogs or articles or short stories, attending events. With social media nowadays, it’s impossible to hide your identity. However, I think it’s useful to use for different genres. I can’t sit still for long so will be up and down to stretch my legs every hour. I always walk the dog for an hour too. For planning, and to sketch out characters and major scenes, I enjoy writing in longhand with paper and pen. After that I find a comfortable place wherever takes my mood or level of quietness I require, and use my laptop. I’ve written five and they’re all out there. My first completed novel The Vineyard was published by CarinaUK/Harlequin which is now HQ/HarperCollins, so and I’ve served my apprenticeship publicly. I’m not sure if that’s wise. Ha ha! Having contracts certainly motivates you. Both. I like to have the outline so that I know where I’m going but the characters often take over and I wing it. It can take the story off course sometimes and me out of my comfort zone, but it can be gratifying if the story is improved. I do. I think every writer wants to improve and therefore reading any critique good or bad, is constructive. That’s really how I cope with the negative. Like many things, not everyone will enjoy the same things, or buy the same products. I hope readers at least respect that you’ve tried. I proposed the idea to my editor in October or November and June 14th is publication day. My current novel is set in Italy and many character are Italian, Olivia, Alberto, Chiara, Elena, Rosa, Nico etc., so it was a natural choice, plus they’re such beautiful names. Generally, I select names which are in context with the story and character. Whilst strong and independent in many ways Olivia is so vulnerable for a forty-year old. Growing up knowing her parents abandoned her has made her doubt people when they want to get close and show her love. It’s quite sad because she doesn’t feel worthy of love. Coming from a large Italian family, my character Alberto is openly passionate about his love for family and community but sadly he can be insecure and possessive with his partner. Hugh is rational and caring, having had one parent abandon him, he learned to be very protective of his mother and half-siblings, and he is inclined to be sensitive to other’s feelings. He uses humour to create a harmony around him. I usually have one in every book. 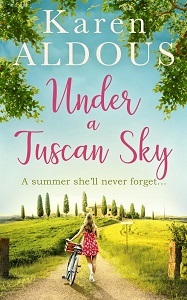 In under a Tuscan Sky, there is a scene which had me in tears. I wouldn’t want to give any spoilers, so I’ll just say, it’s between Olivia and her mamma. Virtually the whole story unfolds under a Tuscan sky. My publisher suggested it. Once I completed my first novel The Vineyard, I was tempted to ask a friend, but then thought it wouldn’t be fair. I wondered, would I be able to make that sort of judgement for a friend? I concluded that if anyone was to judge my novel and my writing, it would need be a professional editor. I’m sure my friend could have improved it, but that’s just me. I know other’s like a beta reader. Joining the Romantic Novelists’ Association as a new writer, was the best motivator and facilitator for me. The information and support is amazing. I sent part of my manuscript in for critique on their New Writer’s scheme. At the same time, I sent the first three chapters and the synopsis to a Romance Festival competition. 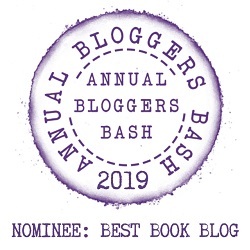 I didn’t win but was invited along to meet an editor of Harlequin Mills & Boon. She liked it and told me to send to her once completed. They were just starting their new digital imprint which took more commercial fiction rather than just romance. I had The Vineyard completed the following year, sent it both to the RNA New Writer’s Scheme and back to the editor. Two months later I heard back from both and both positive. Great feedback from the reader at the RNA and the publisher offered me a two-book contract. Ha ha! punched the air in relief – and drank wine!!! I’ve so many ideas buzzing around my head at the moment, and I’ve a couple of novel ideas I’ve researched and started recently. I’d like to write a few short stories whilst I think about it and decide. The Sound of Music, it’s extremely uplifting! One Moment in Time – the Whitney Houston classic. It’s a huge motivator along with Mariah Carey’s – When You Believe. It would have to be a motor home so that I could take myself and my laptop off anywhere! You can find out more about Karen by visiting the website/social media sites below. We have a fab giveaway for you (UK residents only – sorry). I would like to say a big thank you to Karen for sharing with us details of her writing life, and for a wonderful interview.